Every night 116, 000 people sleep on the streets of Australia. More than 17,000 of these are children under 12. 60 % of these people are under 35 years old. Most have no family to take them in when things hit rock bottom, or worse, they can’t tell them. Some have lost their homes, either because of finances or they just can’t go back to the violence and abuse there. Some sleep in their cars parked at work. Most don’t even have cars, and we see them, shivering on the streets as we walk past on our way home. All of them have nowhere to turn to, nowhere to go. 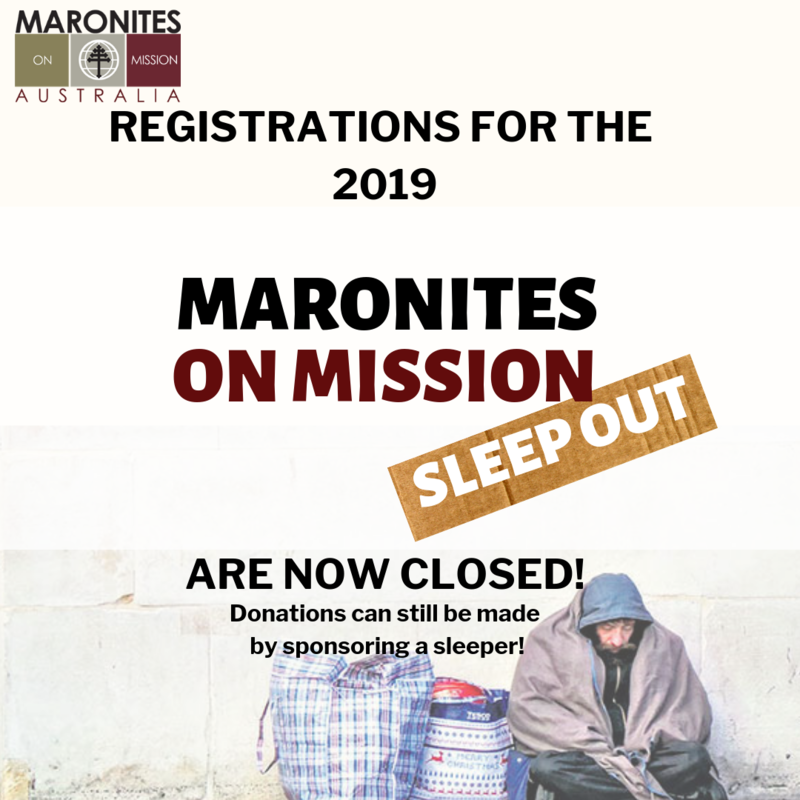 Maronites on Mission is hosting our first Sleep Out to raise awareness about the growing issue of homelessness. We challenge you to sleep rough for one night and experience what these people experience 365 days a year and make a difference for them! The satisfaction of a good deed done. Registrations close on Wednesday 10th April.